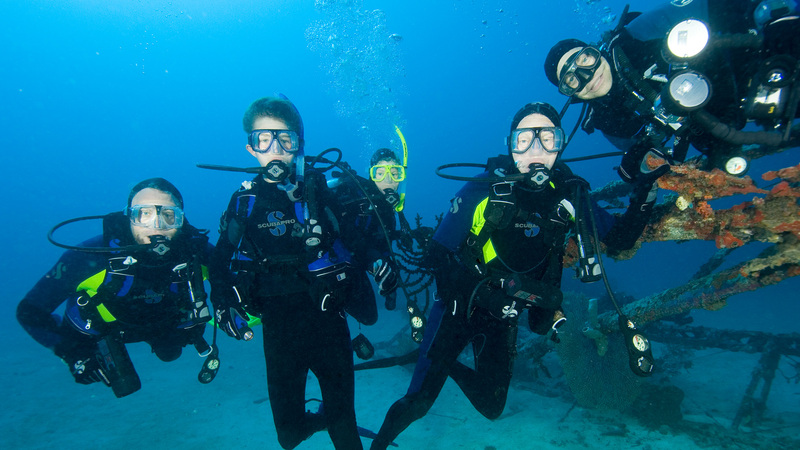 In 2006, the Johnson family launched an expedition, hoping at last to find the treasure Sam Johnson sought. We all have questions about our parents when they were young…why they made the choices they made, what inspired them, what gave them joy. For Sam Johnson, the fourth-generation leader of SC Johnson, those questions were intertwined with his father’s 1935 expedition to Brazil, and the plane that took him there. Sam’s search for the original Carnaúba plane took him and his family to Manokwari Bay in Indonesia. The Sikorsky S-38 plane H.F. Johnson, Jr. used for his 1935 carnaúba expedition had been missing for decades. 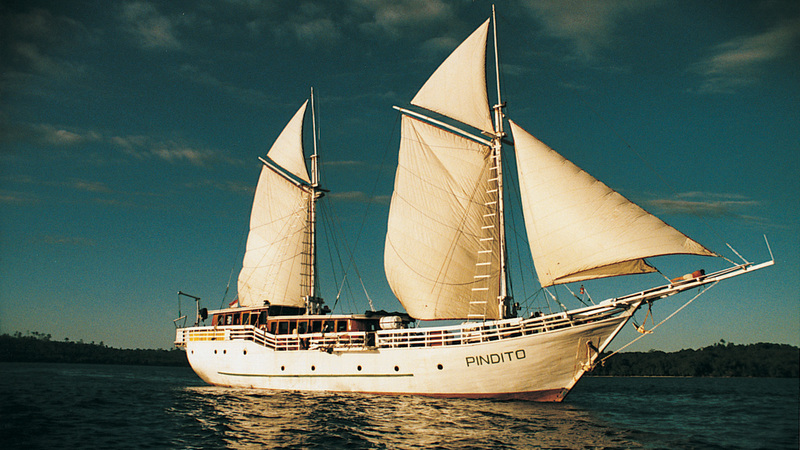 After the journey, it was sold to Shell Oil Company, which used it for aerial survey work in New Guinea, Borneo and Indonesia. Research said that in the late 1930s, the plane sank during a takeoff attempt in Manokwari Bay, Indonesia. But Sam hoped it might not be lost forever. 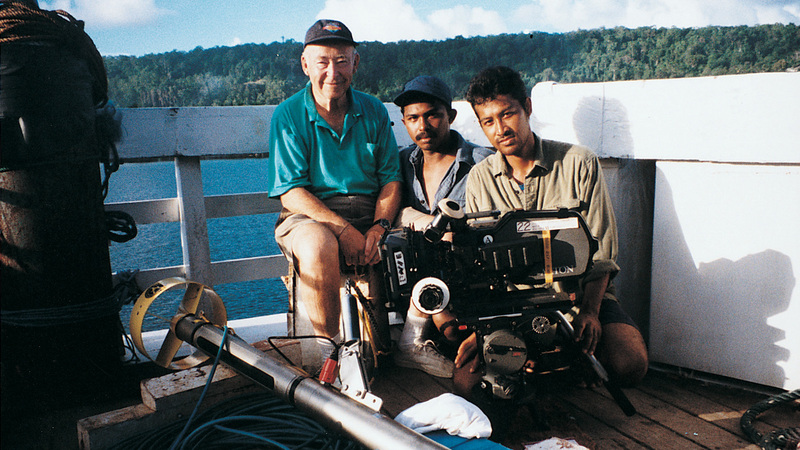 In 1997, he and his family traveled to Manokwari Bay to mount a search. They used side-scan sonar to identify potential objects deep in the bay, then dove to explore each one. 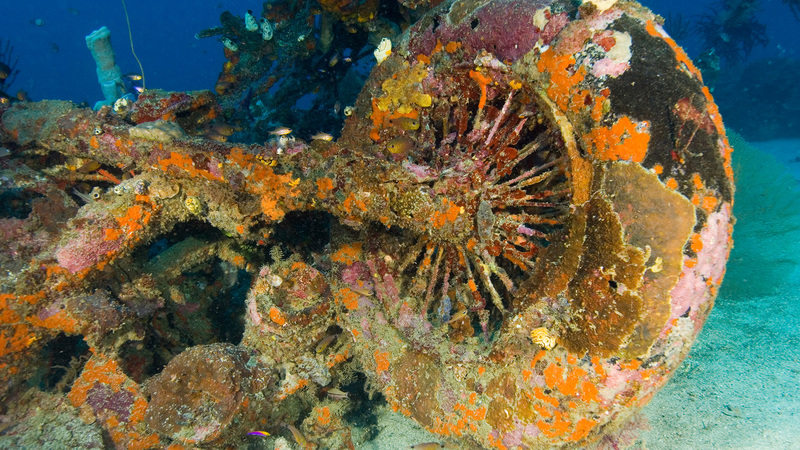 But search as they might, they didn’t find anything that proved to be a sunken Sikorsky S-38. Sam would go on to recreate his father’s journey, in a replica Sikorsky S-38, lovingly designed to match every detail of his father’s plane. It was a remarkable experience that brought him closer to his father than ever before. But the location of H.F.’s plane would remain a mystery. Sam poses with crew members, a camera and the side-scan sonar used in the search. Then in 2005, a year after Sam passed away, a photographer contacted SC Johnson to say that he thought he had seen the plane on a recent dive. He didn’t know the exact location, but he recalled it was in about 100 feet of water. With that important new piece of information, Chairman and CEO Fisk Johnson and his family had a promising new lead. Fisk, his mom and other family members headed back to Manokwari Bay to try to finish what Sam had started almost 10 years earlier. This time, they came upon the plane almost immediately after they began searching, its unique and recognizable shape emerging majestically out of the sand and coral. Fisk and his family once again searched Manokwari Bay, this time finding the plane almost immediately. The aircraft landed upside-down on the sea floor. The crash appeared to have shaken apart various pieces of it. Coral takes a toll quickly in warm waters like the bay. 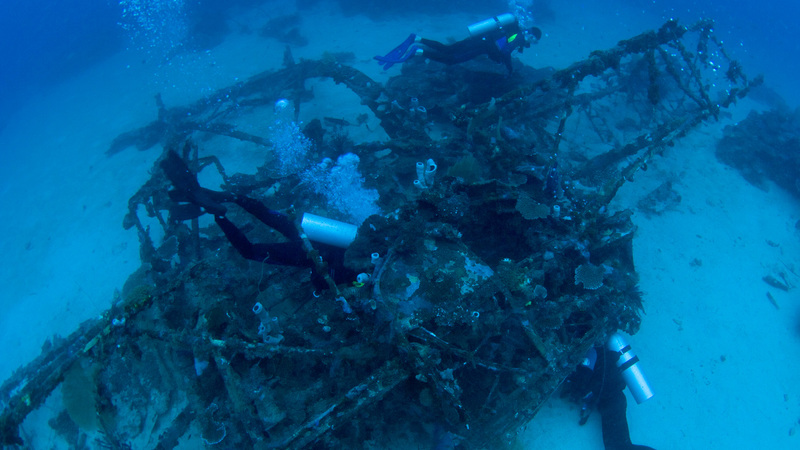 The Johnsons were able to make numerous dives to explore the wreckage. While they didn’t find the data plate Sam had sought, there was no question the Johnsons had found H.F.’s plane. 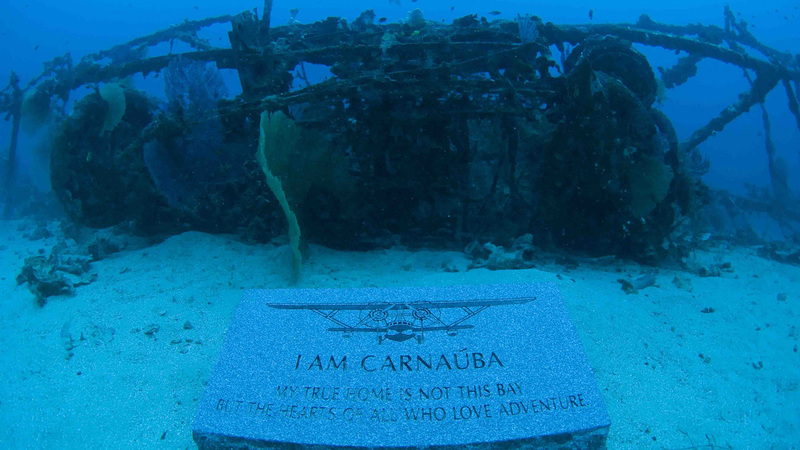 They placed a granite plaque in front of the sunken treasure that reads: “I am Carnaúba. My true home is not this bay but the hearts of all who love adventure.” It was a beautiful tribute to Sam, and to H.F. as well – the past and the present meeting with the promise of more adventures to come. As Fisk wrote to employees soon after the successful expedition, "This summer, we found that plane that was so important to my dad. 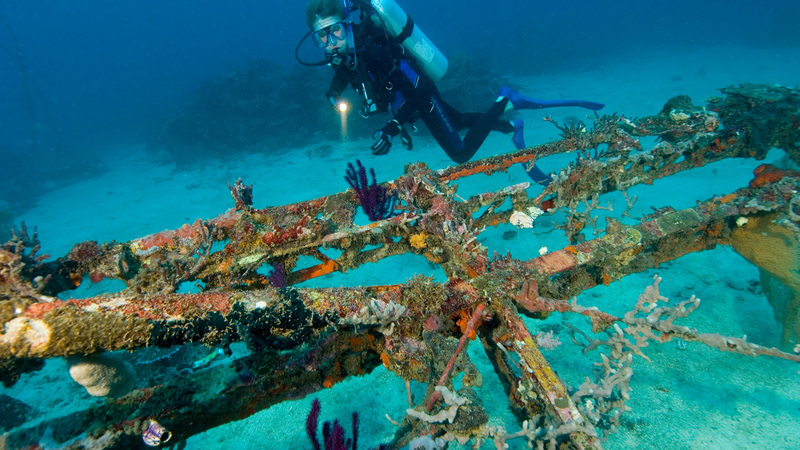 But we discovered much more than just the wreckage of a lost aircraft. After all these years, that plane and the adventure it symbolizes once again brought my family even closer together. "The call to adventure is a big part of the legacy shared by all of us at SC Johnson. And there are still so many adventures ahead of us if we have the will and the ingenuity to pursue them."